NAGA CITY—Students and members of youth groups will gather for the 11th Annual Leadership Convention on February 1 at the Jesse M. Robredo Coliseum in this city. 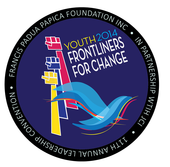 The convention, which is spearheaded by the Francis Padua-Papica Foundation, Inc. (FPPFI) zeroes in the theme, “Youth: Frontliners for Change” this year. This theme is in line with the foundation’s conviction that the Filipino youth will be at the forefront of social change, despite the various challenges of last year’s disasters, as well as social and economic issues. FFPI founder Atty. Francis Padua-Papica, who heads the foundation, is expected to be present during the event, despite his busy schedule as a practicing lawyer in Los Angeles, California. A philanthophist and youth empowerment advocate, Papica engages not only in youth gatherings, but also in book distribution and school supplies drives. Joining Papica are the several invited guests, including 2010 Miss Universe fourth runner-up Venus Raj, 2013 Miss Universe third runner-up Ariella Arida, basketball player Vince Hizon, Camarines Sur Third District Representative Leni Robredo, performer Jim Paredes, Department of Education (DepEd) Camarines Sur Superintendent Gilbert Sadsad, Biggs General Manager Carlo Buenaflor, actor and model Benjamin Alves, sportscaster Patricia Bermudez-Hizon, beauty pageant mentor Jonas Gaffud, and musician Ryan Cayabyab. The winners of the Philpop Music Festival 2013 winners, as well as Ryan Cayabyab singers will be present to entertain the participants. Part of the event will be a distribution of FFPFI leadership awards to deserving scholars. Games, a raffle, and other on-ground activities are also part of the schedule.